Prominent & Leading Wholesale Supplier from Chennai, we offer fall protection equipment, airmaxx scba and safety ear plug. 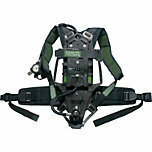 With high-visibility green webbing and chemical- and heat-resistant Kevlar/Nomex blend webbing, the Thermatek® Harness full body, vest-style harness is an effective fall arrest solution. Features webbing and stitching in contrasting colors for easier inspection, additional D-Rings for work positioning, and Qwik-Fit leg straps for easy connection. For personalized ear protection, Safety Instrumentation Systems offers a variety of earplug types and styles, including some comparable to the protection provided by select Safety Instrumentation Systems ear muffs. 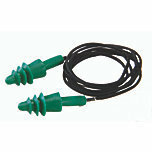 From disposable to reusable and from foam to silicone, these earplugs are easy to insert and comfortable to wear. Looking for FALL PROTECTION ?